Food in Taiwan is full of flavour and variety. Using a base of noodles and rice, with strong flavours and lots of meat (mainly beef and pork) and fish, as well as vegetables, it is very similar in flavour and style to lots of types of cuisine found in East Asia. But with mixtures of Taiwan food that include influence from traditional Taiwan food stemming from people of Hoklo ethnicity, to Chinese cuisine and Japanese cuisine. It is this that defines Taiwanese food and sets it aside from the rest. 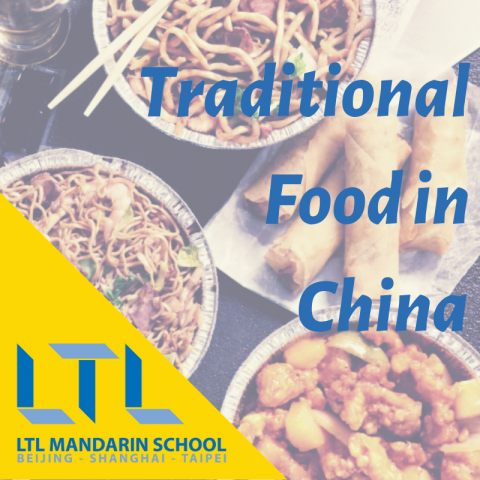 Taiwanese food contains lots of influence from mainland Chinese cuisine, especially so in the South of China. One that is particularly notable is the cuisine from Fujian province. However, influence from all over China and it’s many diverse provinces can be found throughout the country. Due to the period of Japanese rule that Taiwan underwent, a strong essence of Japanese cuisine can also be found in much of the food in Taiwan. Read below for some of our favourite foods not to miss in Taiwan, all of which wash down well with a cup of traditional Bubble Tea (Boba) that can be found in Taipei and throughout the country. There are two different varieties of this popular dish, and they are very easy to tell apart. One soup is dark and more popular. This soup is often called Red-braised Beef Noodle Soup (紅燒牛肉麵) and is the one you will generally find. There is also a clearer broth with slightly different flavours called Islamic Beef Noodle Soup, originating in Lanzhou in mainland China. 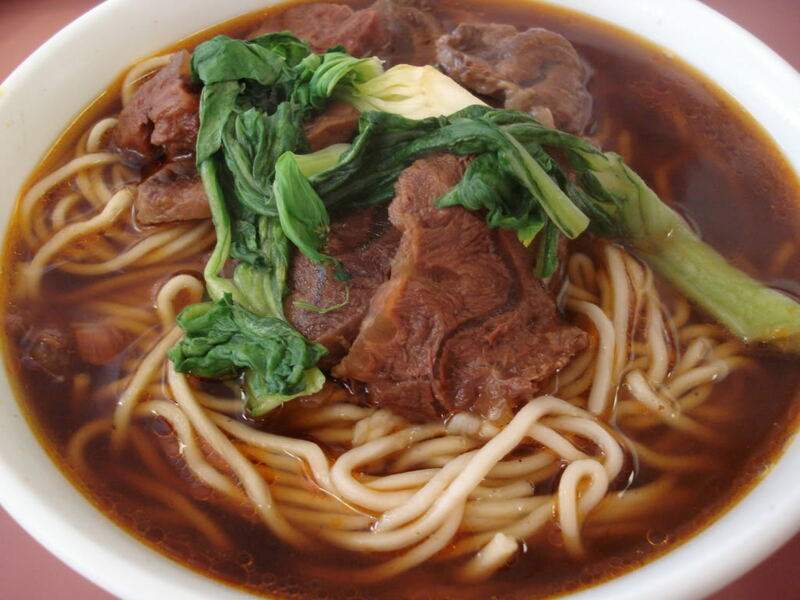 Taiwanese beef noodle soup is probably one of the most famous of Taiwanese foods. The name is pretty explanatory. It’s beef and noodles, in a flavoursome soup. The soup broth is slightly spicy, but you can always add more flavours to it to suit your palate or ask for it to be less spicy. The beef is usually very tender, and the dish is usually accompanied with a side of bok choy to add in those extra vitamins and minerals. It can also then be topped with fresh leek and coriander. The infamous stinky tofu (臭豆腐 chòudòufu) is popular amongst tourists for its particular scent… Or should I say stench? Many stay away from this at first sight (or rather, smell) but if you can get past it and take a bite, you’ll soon realise that this odor-full delight is actually quite tasty if done right. Found throughout mainland China and not technically specific to Taiwan, Taiwan is one of the places where it really is done right. Although not a main meal and rather a snack found in street markets and roadside stalls, you can’t miss this food when visiting Taiwan. 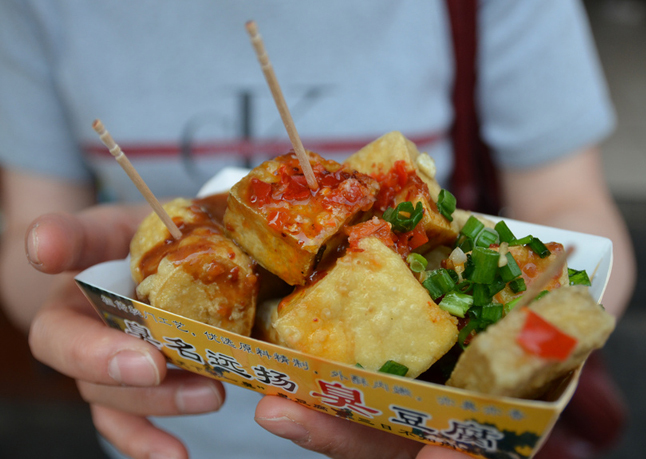 Stinky tofu is found in several varieties, but the most common being in its deep-fried form. It is often served with a side sauce and topped with picked vegetables, and generally veggie/vegan friendly. Breakfast in Taiwan is definitely not something you should miss out on by sleeping in. However, saying that, you can often find it throughout the day. But, these dishes will make you want to get up. This Taiwanese food is popular all over the world, and you can find it in street food markets, where vendors will be working away in the early hours of the morning to produce the best, tastiest, but albeit not healthiest breakfast around. This student-friendly priced breakfast won’t have you break the bank either! 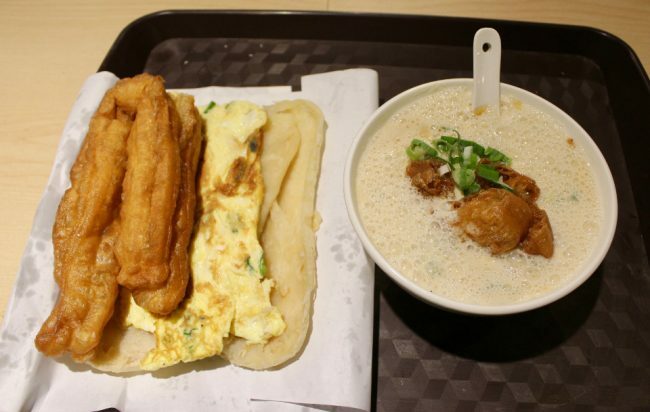 There is a great variety of breakfast dishes this Taiwanese food has to offer to suit anybody’s tastebuds. Here are some of the most popular items you can find. 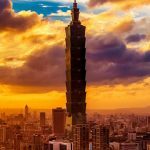 If you’re traveling Taiwan or studying in Taiwan for a longer period, see how many you can try! Yes, Xiaolongbao may be especially associated with Shanghai as it has its origins from there, but you can get some darn good Xiaolongbao in Taiwan that you shouldn’t miss. 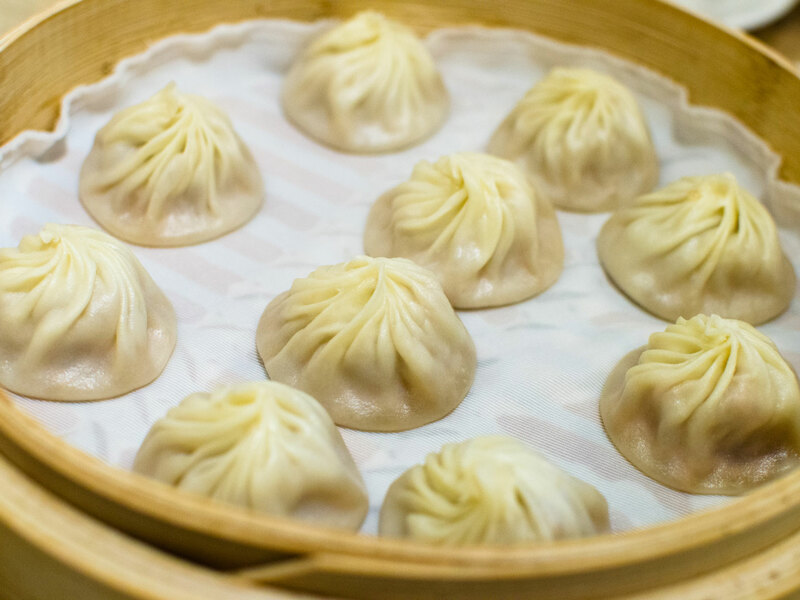 This includes trying some of these juicy steamed dumpling treats from the world’s most famous restaurant selling them – Din Tai Fung, which first started out in Taipei. It now has branches all over the world. These dumplings are very unique, and although it is a ‘dumpling’, they’re very different from the rest, and are also known as ‘soup dumplings’. This is because inside the soft exterior (handle with caution so as not to break it) there is both soup and yummy dumpling fillings. A food in Taiwan not to miss! This food in Taiwan is known more affectionately as Taiwan’s hamburger. It follows traditional hamburger style by conforming to the style of meat within two bread buns. But this one is different from what you’ll find in McDonalds! The bread containing braised pork belly meat is Chinese style, slightly sweet bread. This bread is similar to the bread used for baozi or mantou. The meat inside is pork. You then have the choice of how much fatty and lean pork you want. A 50/50 is a good bet for the best flavour! 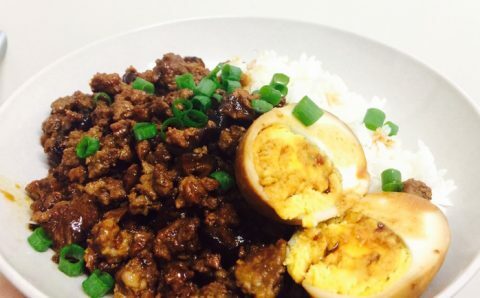 We don’t need much explanation for this dish, since the name gives it away; braised pork with rice, often accompanied with boiled eggs or other accompaniments. The general main ingredients remain the same for this food in Taiwan. Ground pork marinated and boiled in soy sauce, on the top of steamed rice. There is a debate on where the original origins of this dish lie, mainly between Shandong and Taiwan. Eager to prove their entitlement, the Taipei government launched a huge campaign in 2011 handing out 1000 free bowls of this tasty treat to the public, claiming ownership of the dish. Feeling Hungry? 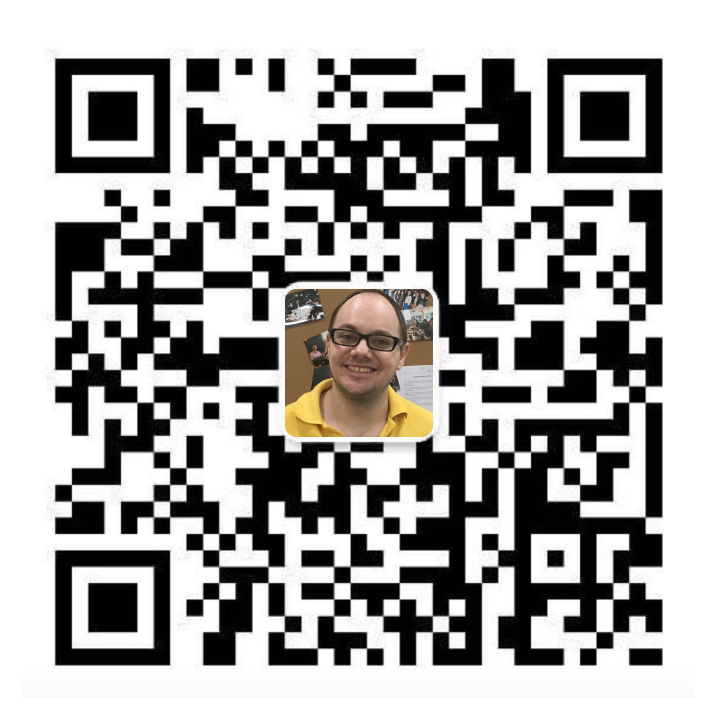 Fancy Learning More? So, that’s it folks! Who else is hungry? Special shout-out goes to the recent social media sensation puppy ice cream that originated in Taiwan. Read more about these life-like looking yummy puppies via our blog. You may well be asking where can I find all of these delicious foods? 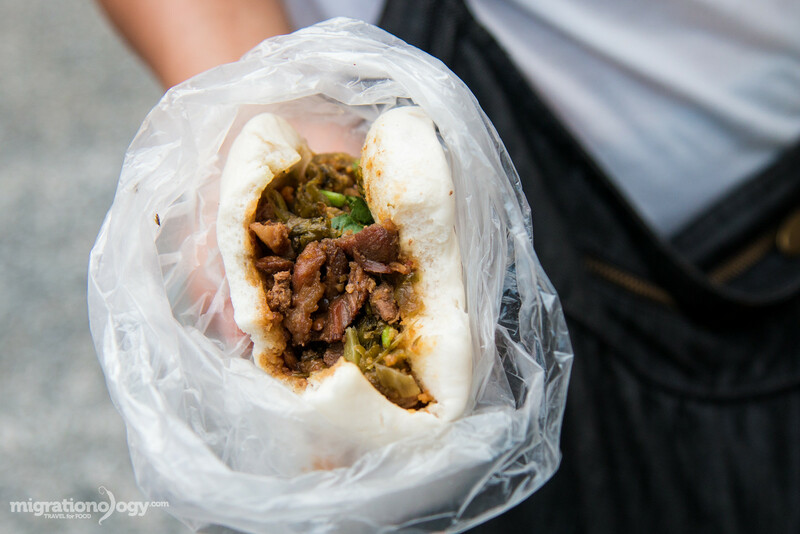 Keep tabs on our blog for plenty more content on Taiwanese food, where to find them, the best eateries, and so much more! PS – Shout-out to our other blog for foodies; the LTL School blog. We pick our Top 5 Chinese Traditional Foods. It’s one not to be missed! Likewise if you are vegan or vegetarian, or suffer from allergies and you worry about what you can eat, we’ve also got you covered!